Patients with periodontal disease in Teaneck, NJ can now look to Dr. Susan Goldfarb for advanced and improved help to combat gum disease. Dr. Goldfarb’s use of a new laser gum surgery, the Laser Assisted New Attachment Procedure (LANAP) works to combat gum disease more effectively, quicker and with less negative impact than any gum disease treatment before. Dr. Susan Goldfarb Brings Laser Gum Surgery to Teaneck, NJ. Patients of periodontist Dr. Susan Goldfarb have new options in their fight against gum disease. The clearance by the FDA of a laser gum surgery, known as the Laser Assisted New Attachment Procedure (LANAP) offers many outstanding benefits to patients. This gum disease treatment eliminates bacteria and disease in the gums in a short time. This is a huge advance over traditional scalpel surgeries, which require much stitching and cutting and leave patients with a painful recovery time. Utilizing the PerioLase MVP-7 laser, Dr. Goldfarb is able to isolate only the gum tissue that needs to be removed. Scalpel surgeries remove some healthy gum as well as diseased gum, often contributing to further gum recession. Saving healthy gum tissue can increase the ability to save teeth as well. LANAP also promotes the re-growth of bone in the area that had been affected by the gum disease, making the benefits of this new gum disease treatment even more evident. Left untreated, gum disease has been associated with a number of other medical conditions from diabetes to stroke to heart disease and more. It can also lead to the loss of teeth and jaw bone density, which can then require further treatment or surgery. The laser gum surgery can be performed in far less time than a traditional gum surgery. During the procedure, patients typically only feel a slight warm sensation. Upon completion of the process, patients report leaving Dr. Goldfarb’s office and going back to their normal daily life within a day or less. The first thing that happens with LANAP is evaluating the pocket depth, identifying the extent of the gum disease. From there, Dr. Goldfarb uses the laser light to absorb the bacteria and diseased tissue area, followed by removal of any calculus that may be present. Once the area is clean, the laser forms a seal or clot to help prevent further bacteria from taking hold. After the laser gum surgery portion, the gum tissue is pressed up against the teeth, but not stitched, to encourage it to reattach. LANAP is a progressive new gum disease treatment that delivers predictable results. The ability to eliminate gum disease and to save teeth and bone is a powerful combination. Patients interested in learning more about LANAP are encouraged to visit Dr. Goldfarb’s website at http://www.flossnightly.com. Susan Goldfarb is a periodontist offering personalized dental care for patients in Teaneck, NJ since 1984, and was one of the first female periodontists in Bergen County. Dr. Goldfarb received her Doctorate of Dental Medicine degree from the University of Pennsylvania, School of Dental Medicine, and completed a General Practice Residency at Newark Beth Israel Hospital. She went on to receive her Certificate of Periodontics from the Fairleigh S. Dickinson School of Dental Medicine. Dr. Goldfarb is part of one percent of dental professionals providing the only FDA cleared laser procedure for gum disease and periodontal treatment. 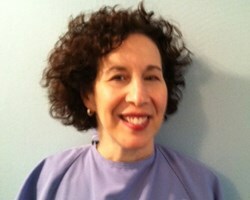 To learn more about Dr. Goldfarb and her dental services visit her website at http://www.flossnightly.com.